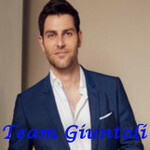 Happy 6th Birthday Team Giuntoli! Delilah grapples with her life-changing decision, Maggie and Gary babysit Theo, and Regina finds out Rome’s big secret. Discussion of this episode is now open.